The new CD "Love Songs (and other tall tales)" was released by 5th Chakra Records on November 24. To order the CD, click on the Nimbit link below. Both physical CDs and digital downloads are available. 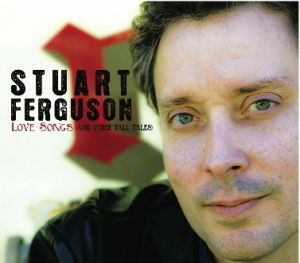 The CD is also available at all of Stuart's shows including the CD release show scheduled for Saturday, December 11, 2010 at the Wachusett Music Series in Lancaster, MA. Rob Mattson opens the show. Tickets are now on sale. Recorded at Wellspring Sound in Acton, MA by Eric Kilburn, the CD's thirteen original songs feature Fred Abatelli, Lori Diamond, Lyn O'Conor-Ferguson, and Phil Punch. The album cover features the wonderful photography of Andrew Wallach. Order New CD "Love Songs (and other tall tales)"